If you want to make a change in the world, you start with yourself. Make the changes you want and in the process, you’ll inspire others to do the same. 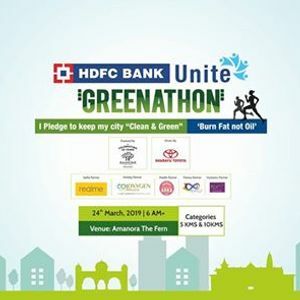 HDFC Bank Unite Greenathon, a 5 kms & 10 kms Timed Run, to spread awareness about the importance of living a green life. The future of our planet depends on the actions we take today and Children are our bright future. Help them understand the importance of this social cause and register for the run today! Last day to register is 21st March. 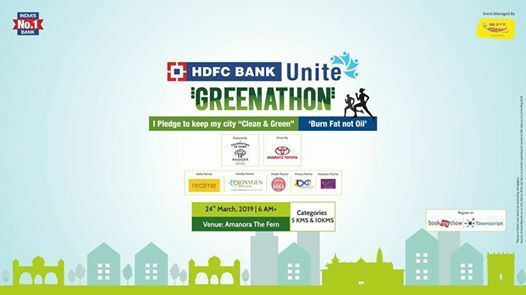 Collect bib and chip on 23rd March. Black Friday featuring Ana Lilia and Ashes !